Hi everyone! This is Elween from Universiti Sains Malaysia (USM). Wherever you are right now, I hope all of you are doing fine. I would like to briefly share what I have learned throughout the programme. My knowledge on history is basically built upon the foundation of the phrase ‘history is constructed’. It was from the reading of journals on historiography, or writing of history, that has helped me to acquire knowledge on the subject. The journal article by Lorenz (2010) has particularly provided clear explanations on how nationalist historians highlighted certain aspects of Germany’s and Quebec’s past to contribute to the endeavours of nation-building as opposed to contesting historiographies that are developed from the other paradigms. My understanding of historiography has paved the way for me to have a better grasp on various discourses on memory. I believe the argument presented by Olick and Robbins (1998) has constructed a meaningful yet to a certain extent controversial linkage between history and memory -“History is dead memory, a way of preserving pasts to which we no longer have an “organic” experiential relation” (p.110). While some scholars concurred that the history loses its halo because of its constant epistemological assertions as compared to memory, which they perceive has less rigid specificities, there are also others who argued that even (collective) memory is just as problematic because of its selective nature. 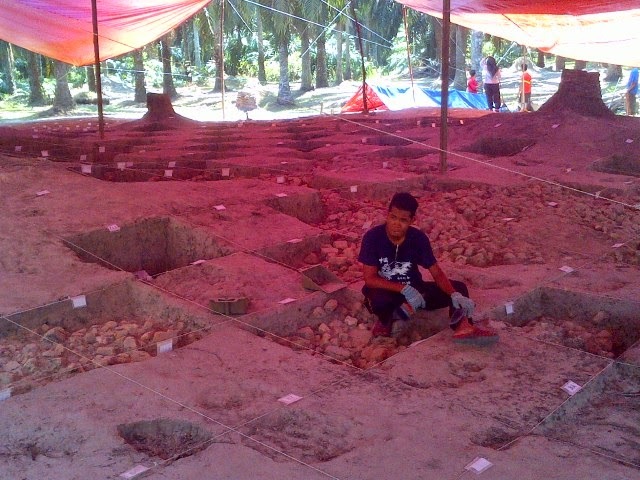 The ambiguity here, I suppose, has also opened up our mind, in one way or another, to make sense of certain problematic aspects we discovered during our fieldwork at the archaeological museum and the Sungai Batu excavation site in Bujang Valley, Kedah. 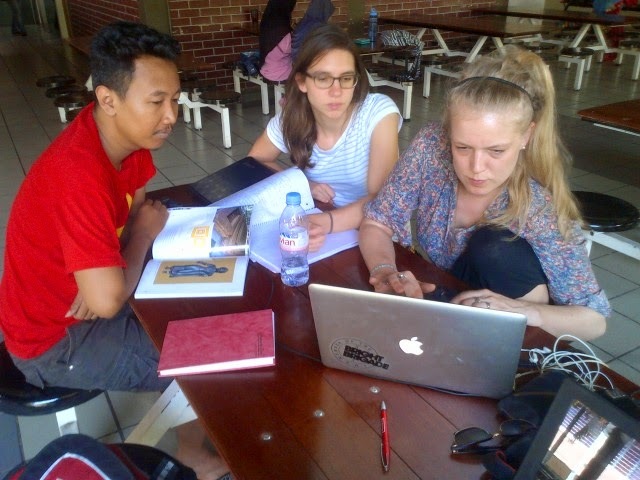 For instance, there are moments when Dieka, Lara, Lissi and I struggled to decide on our research question due to lack of knowledge about Bujang Valley. The biggest concerns we had was: What exactly is Bujang Valley? Is it a settlement where we can obtain bits and pieces of collective memory from the museum and other aspects of its collective memory at excavation sites, or an ancient civilisation with literary evidence that could provide us a glimpse into its constructed history? Is there a way to identify the respective elements that could potentially be ‘collective memory’ and the officially recognised ‘history’? How do we analyse them? All these unanswered questions have led us to agree to set our research question as broadly as possible – What is the significance of Bujang Valley? Moving forward, several lectures on the idea of ‘embodiment’, which I think was introduced during Brook’s lecture, have also been an eye-opening experience. The idea of looking at rituals, gestures and monuments as forms of embodiment, which, I learned from my further reading, is associated with inscribed memory, is rather new to me. Dr Margana too has shed light on how embodiment is related to monuments and various cultural movements to put an end to the stigmatization of the Banyuwangi people even though he did not dwell specifically into the theoretical concept. Embodiment piqued my interest because I find it to be relevant to my master’s thesis research topic - on gender identity (M2F/F2M) in cosplay/crossplay. I am fond of the lecture, or rather sharing session, on the Indo-Dutch community and their identity formation in the Netherlands by Prof Vincent, and was intrigued by Dr Soon’s lecture on how politicians in the Philippines utilised the social memory of massa (people) on past heroes, whom they are affiliated with, to gain political mileage. Threading the trails of the indigenous people such as Batek and Penan during Dr Lye’s lecture has helped me to learn what the phrase ‘other ways of remembering’ really means (thanks Lara for the further explanation during our mini discussion^^). I wish to express my gratitude to Prof Bambang for raising some complicated issues with regard to Indonesia’s independence during its early post-colonial era, Li Feng for sharing her research findings in the Georgetown UNESCO site with us, and Dr Mahani for introducing us to the history of Lebuh Acheen. A special thanks to Yaya for being our ‘on-site lecturer’ throughout our fieldwork in Bujang Valley. Last but not least, a big thank you to Aleah, who always showed concern on our work progress, helped us to arrange transport to get to Bujang Valley and gave us useful tips on research methods. To all the German, Indonesian and Malaysian students, I wish all of you the best in your future endeavours. It has been a pleasure being in this two-week summer school with you. Take care! P/S: I would also like to thank Ms Chiok Phaik Fern and Dr Adrian Lee for encouraging me to take part in this educational programme. Lorenz, Chris. (2010). Double trouble: A comparison of the politics of national history in Germany and Quebec. In Stefan Berger, and Chris Lorenz (Eds. ), Nationalizing the past: Historians as nation-builders in modern Europe. New York: Palgrave Macmillan. Olick, Jeffrey, and Joyce Robbins. (1998). Social memory studies: From “collective memory” to the historical sociology of mnemonic practices. Annual Review of Sociology, 24(1), pp.105-140.